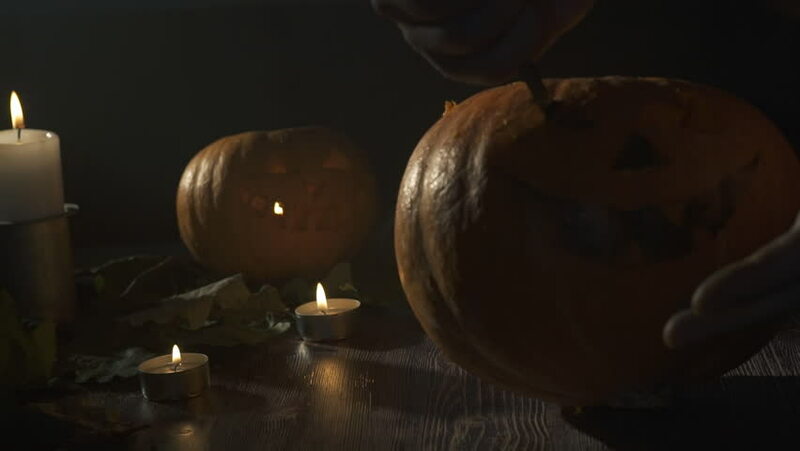 a man hands cuts out a jack lantern eyes with knife on Halloween pumpkin with a wooden spoon. on a wooden table with kandle. halloween concetp. 4k00:19Close-up of man writing by pen in candlelight at darken room.